Welcome to the Case Study Card Challenge. This weeks Muse is Agnieszka Malyszek. 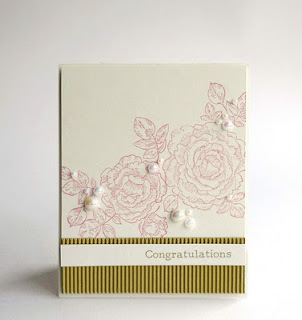 I love what she has done with the random placement of the pearls and the simple use of the flower stamp, leaving alot of 'white' space - it looks so elegant. 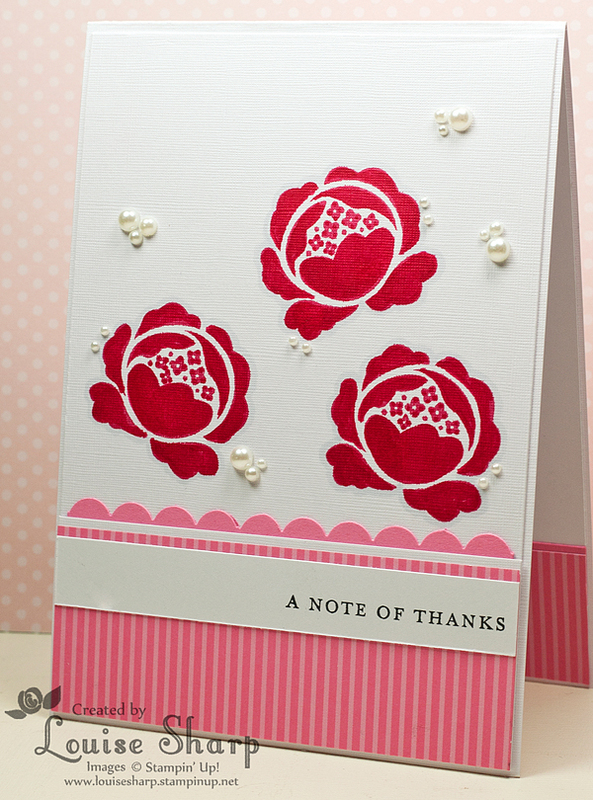 I went with a similar design, using stripes at the bottom and the sentiment. I love the flower stamp I have used and I am now a big fan of random bling/pearl placement! Accessories: Scallop Punch and Pearls of course! Colour Combination: My fav - PINK! Hahaha. Rose Red and Regal Rose. I hope you have enjoyed my first Case Study Card Challenge - hopefully I will be able to find the time to join in regularly, I have enjoyed doing this challenge! 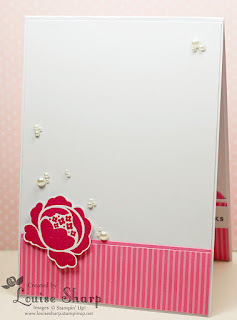 OMG this card is amazing and boy oh boy you love this stamp set lol. You have rocked out this challenge. So happy you could fit in playing along.